News has it that Suhasini has been approached to play Sabita Indra Reddy, former Home Minister of then Andhra Pradesh, who YS Rajasekhar Reddy considered as sister. It’s raining biopics in Tollywood this year with the first one, Mahanati, already hitting the marquee and turning out to be a hit. Lined up next are biopics on NTR and YSR which are titled NTR and Yatra respectively. While the NTR biopic is being directed by Krish Jagarlamudi and features Nandamuri Balakrishna in the titular role, YSR biopic will star Malayalam megastar Mammootty in the titular role and will be directed by young filmmaker Mahi Raghav. 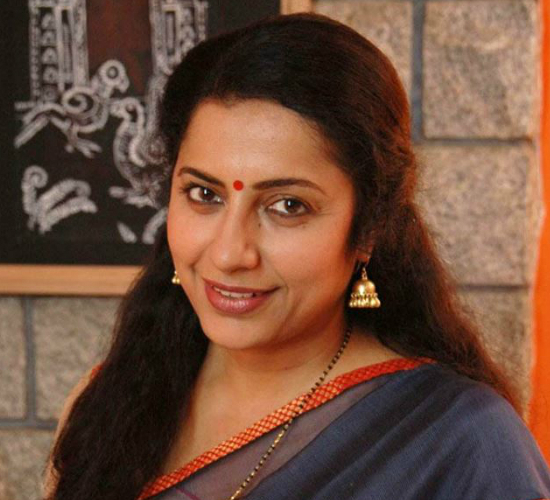 According to latest reports, veteran actor Suhasini Mani Ratnam has been approached for a crucial role in YSR biopic. News has it that Suhasini has been approached to play Sabita Indra Reddy, former Home Minister of then Andhra Pradesh, who YS Rajasekhar Reddy considered as sister. YS Rajasekhar Reddy had once said that he started his 1500-km long pada yatra only after getting a rakhi tied by Sabita Indra Reddy who has a close associate of YSR. With Suhasini being considered for the role, it will be intersting to see if the veteran actor will accept the role. Suhasini was last seen in Varun Tej’s Tholi Prema playing his mother in the story. Reports are also doing rounds that actor Rao Ramesh has been signed to play the role of K.V.P.Ramachandra Rao in Yatra. K.V.P.Ramachandra was one of the closest aides of Y.S.Rajasekhar Reddy and is an important role in the narrative of the life-story of the politician.